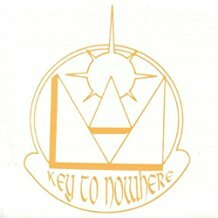 In Part 2 of our oral history interview with the multi-instrumentalist musician born Robert Northern, now known widely as Brother Ah, we learn about his days with the Sun Ra Arkestra, his career as an educator at Dartmouth and Brown Universities, his sojourns to Africa, the development of his Sound Awareness ensemble, and his tenure as weekly show host at WPFW in DC. Willard Jenkins: What were some of the most memorable recording sessions you made as part of the brass section? Willard Jenkins: How did you connect with Sun Ra? Brother Ah: Well you know, I was at Radio City Music Hall. You know, we had four shows a day, we had breaks between shows, and I was visited by cats, you know, Eric Dolphy used to come by on my breaks and we used to talk about orchestration. He always had a book with Koussevitzky stuff. And Pat Patrick used to come by on my breaks. We used to work together, we did a lot with Odetta and different pop singers, I was doing a lot of work in recording studios with Pat Patrick. And he kept talking about this musician called Sun Ra. And I didn’t know who Sun Ra was. He would say, “Come on man every Monday night we play at a place called Slugs.” I said, “Man, after four shows, five shows, I’m going home on Monday night I’m going to bed man I can’t do that.” He kept bugging me so I said, “OK. I’ll go with you.” So we got in a cab one Monday night and went down to Slugs. Willard Jenkins: What year are we talking about? I was able to transpose it all. So I was playing trumpet parts, I was playing everything. In the middle of this session he had a – there was a contraption that he made. This contraption was made of copper wires and it rotated. And everybody was playing and it stopped. It stopped. So Sun Ra told us to go outside, there was a spaceship outside. I said, “what?” He said, “Yeah. You guys stop. Go outside.” We all bust outside and man we looked up there was a light pulsating in the sky, man. That’s when I began to believe Sun Ra. Up to that time I said, “Space, yeah, space, yeah.” And when we sat back down, it started to rotate again. So after that audition… He was auditioning me and a trumpet player… I can’t remember his name now… very fine trumpet player… So, after the rehearsal and after the audition, he told John Gilmore to tell me to come to the next session at Slug’s. He ain’t tell me to my face, he tell Gilmore. So Gilmore said, “Come down to Slug’s next Monday night.” And when you join Sun Ra’s band, you sit next to him, you know, every new player has to sit next to him. So I’m sitting next to him, and we’re playing. Between that rehearsal and the performance, he had written all these parts up. I can show you… I got my whole French horn book, his handwriting here, I have the whole book. He wrote me this so fast man, [mimics fast writing]. I show you the parts man I got them all. He wrote all my French horn parts just like that. He didn’t ask me to play he didn’t ask me what the register, he wrote a whole book by the time… between that rehearsal and the actual performance he had written a French horn book. So, I’m playing it with them, and he tells me to take a solo and I never played a solo with Sun Ra. I’m looking for chord changes and I’m saying, “I don’t see no chord changes.” So, next solo, he cut the whole band off and left me out there by myself and I didn’t know what the changes were… so I started to play what was coming through me. I had no idea, I said there was no chord structure there was no form there was no… you know I’m used to ABAB form, nothing. So, I started to play. And I kept on playing what was coming through me until I couldn’t keep the horn on my lip anymore. And I figured I was perspiring so much. So I looked down man and there was blood. My whole shirt was full of blood, I cut my lip. And only when he realized that I realized that I was bleeding, then he put the band in. That was my initiation to Sun Ra. 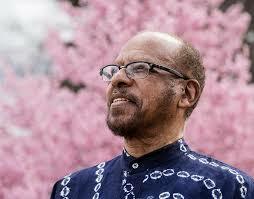 Willard Jenkins: So how long did you work with Sun Ra. Brother Ah: Ten years, ten consecutive years. Now I didn’t do all of the years with him ‘cause I was still under contract with Radio City Music Hall so I couldn’t go on extended tours. I would go as far as Boston or he did D.C. several times, you know, but in terms of going to the airport… I can’t go two or three weeks. So I played with him for ten consecutive years in his band. ’64-’74. Willard Jenkins: When and what were the circumstances behind your going into education? Brother Ah: I started when I came back from the military again in the late 50’s. My union, 802, asked brass players to work in the public school systems to teach brass instruments. They didn’t ask teachers with degrees in education but they wanted professional musicians. So they called me, I don’t know why again, to ask me. So I said, “Sure.” So they sent me to a school in my own backyard… south Bronx, where I grew up, to teach brass instruments. So I taught trumpet, trombone… all the brass instruments to elementary… to 4th, 5th, and 6th, graders. So I did, I was able to find a French hornist who played my show for a semester. And I spent a week with Don in Dartmouth, first of all, observing him as a teacher. So I said, “Don I think I can continue your work.” And I was really continuing his work. He was doing music that was different. So I said, “I can do your work” ‘cause I had been playing with Sun Ra. So I accepted his position for one semester. At the end of the semester he called me from Sweden: “Man, I’m gonna be out here for three years.” I said, “What!? I got a hit Broadway show!” “Can you please take my place man…?” So the chairman calls me and says, “We would like to offer you a three year contract to teach here at Dartmouth.” I was kind of sick of that show anyway, I mean, I’d been doing it for two and a half years, I said, “Well, I’ll just take a break from New York you know.” Even though I was extremely busy. But I said, “What I’ll do is bring the cats up here,” I said to the chairman, “If you give me a grant, you know to bring the musicians from New York here so I could continue my career.” He said, “Yeah!” So I brought up Max Roach, I brought up M’Boom, I brought up Kenny Burrell I brought up a whole bunch of cats because I wanted to play, I brought up Leon Thomas. So I kept my roots in it, but after three and a half years… But anyway that was my first real teaching position, at Dartmouth College. Willard Jenkins: Were you married with a family at the time? Brother Ah: I was married… I was divorced. Willard Jenkins: Did you have children? Brother Ah: I had two kids. Two sons. Willard Jenkins: From your first marriage? Willard Jenkins: Are either of them musicians? 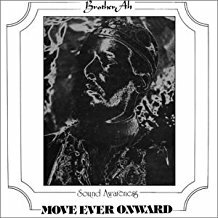 Brother Ah: No, the oldest boy, who is now in his fifties, he wanted to be a drummer and I got him a drum set and for some reason he wanted to go to Paris and sold his drum set to go to Paris and he never got back on drums. My youngest boy was a wonderful guitarist who was studying music in Los Angeles and he gave up being a musician so… My daughter is the one that’s really now and up and coming. She’s a vocalist, a composer, and an arranger. She has wonderful music out now, she’s going strong now, and so she’s the only one in my family to take on the music legacy, my daughter. Willard Jenkins: So how did you evolve as an educator from Dartmouth to Brown University? Brother Ah: Well, again, at the end of three years, I was anxious to get back to New York. To pick up my career, to get back with all those cats I worked with. And at one of my performances, there was a gentleman named George Bass who was very connected with Langston Hughes, he was teaching at Brown University in something called Rights and Reasons. Rights and Reasons was a project that he and the chairman of the African Studies Department, who was a historian, put together, to turn research into performance. So he came to one of my performances. I didn’t know he was out there. After the performance, he came backstage and said he’d like me to consider doing my work at Brown University. I said, “Man, I’m going back to New York man, I mean I’ve had three and a half years of Ivy League,” and that was difficult at Dartmouth. It was very racist… It was an all-boys school when I took the job. When I first hit that campus man, there was a big Confederate flag across the Main Street, a huge Confederate flag. I said, “What! ?” So I had a hard time dealing with racism at Dartmouth, very hard time. And it’s an Ivy League school again, Brown University, I said, and in Rhode Island, I said, “Well man, I’m going back to New York.” So he kept bugging me, so I figured the only way I can turn this cat down was to give him such a price, such a salary, that they would say, “No we can’t do that.” So I gave him this huge figure, and they said, “Ok.” I said, “What! ?” [Laughs] I didn’t know I was making more than the chairman. I said, “What! ?” Oh man, so that’s how I ended up there… So I went to Brown and stayed there nine years. Rusty Hassan: Was it at Dartmouth or Brown, where you acquired the name “Brother Ah”? Brother Ah: At Dartmouth. I used to come into this classroom and they would say, “Ahhhhhhhh. Ahhhhh. Brother Ahhhhh.” And I didn’t know, you know, it was a nickname. I didn’t know if I started every sentence with “ah” or what, you know? So it was an international setting, it’s an all-boys school and they had students from all over the world. It was very international. So everyone from different parts of the world came to me and say, “’Ah’ has a meaning in my culture.” One guy, he was from Mauritania, he said, “We twirl in the desert and we chant ‘ahhhh’ for our culture.” And then the guy from Egypt, he said, “You know ‘Ah’ is the name of the god of the moon.” Ra is the name of the Sun god, Ah is the moon god. Everybody kept telling me, so it stuck. It was a nickname, it just stuck. So when I got to Brown, the Brother Ah name followed me to Brown. Willard Jenkins: So you stayed at Brown for nine years? Willard Jenkins: How did you determine to study in Africa and where did you begin those studies? So from there I went up to La Te which is a head place to go for temples, that was the destination for Dinizulu and his family. And from there I left and went to a place called Kumasi and I was led into the forest by a little man who saw me playing my flute looking at the flowers and took me into the village. So I started my real understanding of African culture and rhythms deep in the forest in a village behind Kumasi, a village called Gyenyasi. There I had a mud hut, no running water, no electricity, only the fires and the moon at night and that’s where I lived in that hut. And I studied with those drummers—I have my first drum, I got my first drum right at that time in ’72, it’s in my living room— they gave me my drum, and they started me off understanding the language, the drumming, and all of that. The next time I went to Ghana was two years later, every year for seven consecutive summers I spent in Africa – Ghana, Tanzania, Kenya, and whenever I went back, I studied. I studied at Legon at the University of Ghana, at the Legon Institute where this drum comes from. I got that drum at Legon in the 70’s. And I studied at the University, I lived on the campus, I studied… You been there to the University of Ghana? Willard Jenkins: Yeah I have. Brother Ah: You know those steps… the Legon Institute was down those steps… that’s where I studied every day. All my rhythms and all those concepts came from Legon. Willard Jenkins: And the other countries that you visited during your summers in Africa, what were your experiences like? Brother Ah: Well, I’ll tell ya, the most profound experience was when I went to… Kenya. I went to Kenya and I spent time in Kenya and I went to Nakuru, which is where Jomo Kenyatta… I went to a big festival and I saw Jomo Kenyatta. And that was an experience. I was going to visit my cousin, Babatunde Folalyemi, and sister, brother, my cousin, had moved his family to Dar es Salaam. So I spent time in Kenya but I said, “Really I got to get to Dar es Salaam to visit my cousin.” So I took a bus from Nairobi to Dar es Salaam, to Tanzania and on the way there we stopped at a place where there was the Ngorongoro Crater. I don’t know if you have heard of that. Where the Massai lived. This was a bus breakdown halfway to Tanzania. When I traveled Africa all I traveled with was what I was wearing and a coconut bag which had several flutes, bamboo flutes, and my kit, and a change of underwear. That’s all I had. So I sat under the tree, I pulled out my flute, and I’ll have to show you the flute, I have all of the—I have the exact flute. I pull out my flute, just to soothe myself, because I’m looking at lions man, and I was playing my flute for my own self and I felt this presence around me. I open up one eye and these monkeys are—about 30 monkeys come out of this tree and all sitting out there in front of me and I’m playing the flute, they’re grey, black faces, orange, the palms of their hands were orange, and they’re all looking at me. That’s the way I began to understand multiple rhythms, the Massai learned by listening to the hoof beats of animals. That was a great lesson for me. So while I was there I studied; I got a little drum, and I studied the rhythms of animals. And it took me back to, believe or not, to Sun Ra, because his band played the same type of rhythms. When I got in his band man — oh my drum’s upstairs. The drum I have upstairs, the conga drum, is the drum I played with Sun Ra. I studied conga drums with a brother, I forget his name—anyway, the rhythms I was hearing those animals and the rhythms of the Massai, those were the same rhythms Sun Ra’s band played. And those are the rhythms I used in one of my recordings on my album. I used those same concepts of rhythms on one of my albums that I recorded back in the 60’s. So my greatest lessons in terms of learning rhythms were from animals, with the Massai. Willard Jenkins: What were the circumstances behind your relocation to Washington D.C. and what year was that? Well I had never been to D.C. before. We got to D.C. man and—I loved it. We performed at the Howard Theatre in the 60’s. D.C. was such a wonderful, spiritual, cultural place to be. Of course they were talking a lot about the ribs, the best ribs you can get in the country was here in D.C. the place right next to the Howard Theatre everybody used to run to get the ribs back then—I eat ribs still. I always wanted to live in D.C., it was Chocolate City And that was for real, it was a 100% black city, so cultured, the Lincoln Theater, I mean Bird was playing, it was just a wonderful place to be. So one day I said to myself, ‘I’m gonna live here.’ But really what took me here was a woman. My wife. I met my wife in Africa, in Tanzania, Dar es Salaam, she was born in America but she had moved there to try to find a job in Dar es Salaam. And I met her in Dar es Salaam and when I came back, I had to come back after summer of course because I was teaching at Brown, she came back to get her PhD at AU. She’s a psychologist, and she was living here and we became friends, and our courtship began really when I left Brown University. I told her I wanted to live here because I wanted to be with my future wife so she was really the one who brought me here. I’d always wanted to live in D.C. since the days I used to come here on the road, and my father always used to talk about D.C. My father was a showman he used to work in the Howard Theatre too. In the 20’s he used to work in the Howard Theatre. He used to ask me every time, “Robert when are you gonna look at the Howard Theatre, let’s go look at the Howard Theatre.” I said, “Dad I don’t know.” When I worked at the Howard Theatre he was delighted that I finally worked in the Howard Theatre where he used to work. So, I’ve always been attracted to Washington D.C.
Rusty Hassan: What year was it that you moved to Washington, DC? Brother Ah: I moved here in about 1986. Rusty Hassan: And what did you find here, how was the music scene when you first moved here? How did that work out for you? Brother Ah: Well when I first moved here—the first place I played was a club that was on E Street, down on E street, what was the name of that club? It was a nightclub down there… I can’t remember…. Anyway, there was a musician his name was Nasar Abadey and N’Digo. Brother Ah: N’Digo Zaba and Yaya. Anyway I walked in there and played with those cats. It wasn’t the first time I’d played with… and I was just blown away, man. Just the sound, we got South African sound, Yaya and those wonderful rhythms, Nasar Abadey was playing, I was hooked right there. I gotta remember that club. Anyway that was the first time in Washington D.C.
Rusty Hassan: What did you play, the French horn? Brother Ah: The French horn. Rusty Hassan: So that was the first time. Did you immediately become part of the scene where you’d be playing at various places? Rusty Hassan: Was Robert Hooks part of that…? Brother Ah: No Robert Hooks was in New York. Anyway, it was called Black Repertory Theater. I became their music director. I can’t remember the details how I ended up being the music director, but being there I was able to bring in musicians to play with me and I began to get known around town as a musician by composing and performing at the Black Repertory Theater which was located on Georgia Avenue. But that’s when I began my really regular performances with the theater company. And sessions, you know, giggin’ around. Rusty Hassan: When we first met you had your album out, Sound Awareness, where did you first record that and how did that come about? 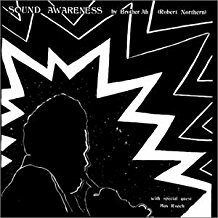 Brother Ah: I recorded Sound Awareness at the insistence of Max Roach. I recorded Sound Awareness… it wasn’t a recording session, I had no intention of recording at all. That music came to me in a vision. Total vision… I was performing…. I was doing Broadway shows back then, as you know, and every night—I lived on Madison Avenue and 94th Street on the corner. I was the only black—well I was on that corner, Sammy Davis Jr. was on 93rd Street, Eartha Kitt was on 92nd Street, we were the only three blacks in the neighborhood. Vladimir Horowitz, who I used to listen to practice, it was a really wonderful neighborhood to be in. I used to take the bus home every night up Madison Avenue to my apartment, I lived right on the corner. The bus stopped right across the street from my apartment. On my way to my apartment I felt awfully strange. I hadn’t had any drugs, any alcohol, I came from work; I have to tell this story, it’s strange. Maybe I shouldn’t even tell it I don’t know. Rusty Hassan: Sure, tell it. This is part of your history. Brother Ah: Ok. So I’m walking across the street, I’m walking up the steps to my apartment, and I looked up, and all of a sudden I find myself on 85th Street and York Avenue. Do you hear me? Do you know where Madison Avenue… I’m walking—with my French horn, I’m walking around… “Where am I?” And I’m asking people, where am I? “You’re on 86th Street.” I was over there, Lexington Ave., I walked up York Avenue, and I’m lost with my horn. And I’m going, “How did I get here?” And I’m walking around and finally I looked up and I’m back in front of my apartment building about a half hour later. Just like that. So, I went upstairs, I lived on the fifth floor, I sat on the edge of my bed, and I heard this music coming to me. Just came to me out of the blue sky. It’s called the Midnight Confession because… “Beyond Yourself,” is the title of the Midnight Confession. I’m hearin’ all this music, in my head. So one Sunday, a rainy Sunday, we went down to Hunter College, all of us. Meet him at his class, he said because he can’t be discovered by security he had to do this in candlelight. So, he put candles up, and we started to record this. And it got so strange, that the performers they kind of freaked out, they wanted to take a break, they were not in with it, they were gonna come back or not, but they came back and we finished it. So that’s it, we recorded it, and put it away. …I’m trying to remember things, there was a sister, who was a director of a theater company again, who wanted me to be their music director, so I put this group together called Sound Awareness. This was my first band, a quartet, three women and myself, these three sisters, Akua—Pat then, Pat Dixon– Barbara Grant, Barbara Burton… that was my first group. We started performing as a group for a theater company. And I got flak from the men, “Man, you got all these women man, you supposed to be a man with brothers” I said, “They all women, I’m the only brother, so what?” I got flak, we started recording. So I didn’t do anything with that music. He said, “Well I’m gonna tell you how to do it. The trumpet player and the piano player in my band have a recording company – Charles Tolliver and Stanley Cowell – called Strata-East. He said, “The only people who recorded out of there are the two of them, nobody else record on there, why don’t you be the third person that records on Strata-East?” I said, “Man I appreciate all this…” He said, “It’s already recorded. It’s no expense, just give them the master.” I said, “You sure Max?” He said, “Yeah man.” So I went down and gave them my master and you’ve seen the album. Rusty Hassan: I have it with me, we’ve played it. So I got a budget together, and brought Max and M’Boom, the first gig they had outside a rehearsal, to Dartmouth. Put them up in the best hotel in town, and we did this piece called—well, I didn’t know, he sprung a surprise on me. We just gonna do half of the concert, all of it was recorded live, was going to be my group of 95, I had 95 students, and then M’Boom. Max came to me at breakfast the day of the performance, we had a dress rehearsal at noon; at breakfast we were sitting there he said, “Brother I want to do this piece, I know I should have mentioned this to you yesterday in rehearsal, but this is the piece I wanted called “Love Piece” would you do it?” He was surprised I said “Yeah. You got a score?” “I ain’t got no score, I got a script.” So we did this piece called “Love Piece” which you said you didn’t know Max sang that poem, just like that. Had no script, I talked with the guys, my 95 students, so he said, “That should be side B of the piece.” So that’s how it came about. It wasn’t really a planned recording session at all. I would never consider myself a composer, I don’t think I should have been called a composer, you know, it just came to me, I mean you know, in school I didn’t study composition, I wasn’t no composition major. Rusty Hassan: But since then you’ve done more pieces that are composed; what’s your principle now as you compose pieces? Brother Ah: Well it just depends. The piece that I call “The Sea” which is one of the latest things we’ve released, that came about the same way the first piece came about. I just heard it sittin’ by the ocean in Jamaica, and all the melodies and rhythms and concepts, the waves all created this in my mind and I wrote it down and composed it that way. Some of them I’m inspired by something in life, everything I’ve done has a meaning. Nobody has inspired me to do it for money. Nobody has hired me to do a recording session, I’ve never had that experience yet. Everything I record comes straight from myself wanting to release something. Rusty Hassan: In your life in D.C., you’ve also been involved in teaching. Many years ago you taught at the studio school that Marcia MacDonald had, tell us about that experience, because there were some significant students that have since gone on from there. Brother Ah: Well my first teaching position when I came to DC was at the Levine School of Music. I taught there for six years. They wanted to start a project, an outreach project, about world music. There was a very innovative director of the school then, she’s no longer there, Joanne Hoover was her name. So I went there and I taught voice and I taught some flute and she wanted me to… well let me see let me go back. Before I taught at the Levine School of Music, I put a group together called the World Music Ensemble. When I was at Brown University, this is long, do you want to hear all this stuff? Brother Ah: When I was at Brown University, I put a student group together with an international concept. The young black girl who played the Japanese instrument called a koto, she made that koto. She’s on one of my recordings at Brown, and I used one of the brothers to play tabla and I played the sitar, back then I studied sitar with an Indian teacher in Boston so I was playing sitar, I had all these instruments. When I got back, when I got to D.C., I said, “I want to keep that concept going.” Particularly since the Levine School of Music had inspired me to do some international stuff. I put a group together called the World Music Ensemble. I had musicians from Spain, musicians from Japan, I mean these are people who are indigenous to that country, who have studied and learned and who are quite popular in that country. I went to the embassies, I said, “How am I gonna find all these international musicians?” I went to the Japanese Embassy, I said, “I want to find a musician from Japan living in D.C.” I went to the Indian Embassy, I wanted to find an Indian, I went to all these embassies, I had musicians from all over, I even had a Hopi Indian. And finally, I called my first rehearsal. And, it worked. I had koto, tabla, flamenco guitar… I had all these instruments. And it was Joanne Hoover at the Levine School of Music that wanted me to give my first performance of this ensemble at her school. And I went to the embassies and got a flag of each person in the ensemble, I put their flag up behind us, and I gave my first performance of the World Music Ensemble at the Levine School of Music. And I did an outreach program that the ensemble became my faculty to go to public school systems to teach their particular instruments, tabla, guitar, everybody taught their instruments. Nana Freepont taught African drums, and I taught my stuff. And that was my first experience at teaching in the public school systems was with the Levine School of Music outreach program. Then I was contacted by… I don’t know who contacted me I guess somebody contacted me to start working with Marcia. I worked at her school with the flutes and the woodwinds, and all the independent black schools called me to work with them so I worked with different independent black schools. African Learning Center was my first school, with Abena Walker. Rusty Hassan: And you still continue to teach right? Brother Ah: Yeah I teach mostly children. I teach here privately, trumpet players. My private students here, all trumpet players. Kids, some in elementary school, some in high school. Willard Jenkins: What do you find are the rewards of teaching children? Brother Ah: Keeping me young. I mean I learn so many concepts from children. I’m talking about… I’m teaching nursery school children, toddlers as well. Different musical concepts I’ve learned from children, I’ve learned they’ve shared rhythms. At some point in all my classes I asked them to create their own rhythms. I’ve heard some unbelievable… I have on my phone something that you want to hear, you’ll think it was Sun Ra. I shouldn’t have said anything, I should have asked who this was and you would say Sun Ra. Anyway they shared so many philosophies with me, this one little girl said to me, “Brother Ah, you cannot touch music, but music can touch you.” This is a 5-year-old coming to me. She said, “I’m so touched Brother Ah. You can’t touch music, but music can touch you.” One girl at MacDonald’s school said, “You know, I should take the little children on Florida Avenue.” We used to walk on Florida Avenue. I said, “What?” She said, “I’m walking my class up on Florida Avenue and when they come back to the classroom they have to write down or tell me all the sounds that they heard.” And not only did they say the buses and the horns, they heard birds, they heard all these different natural sounds. They heard insects, I mean they were opening up my ears. So I learned so much from being around children because I started my career at 5 years old on the bugle. And I’ll show you that bugle. I was a bugle player and I learned the rhythms of animals, as I said earlier, the hoof beats of the horses coming down my street, Dorset Avenue, pulling wagons, lots of animals back in my day on the street. So I know that children like… I was connected with sounds at five. Why aren’t they—they are! These little children are connected. And I have had the experience of guiding them, putting a form and structure to what they’re doing and making full compositions. Let me show you something. (Gets up and walks around then returns.) Look at these kids. These are my little ones. What a conductor he’s going to be. Look at the expressions. Look how serious. I mean this is an ensemble. We performed. I perform with children man, I do platform performances with those little ones. So I gain a lot of inspiration from being around children. And to see them progress is unbelievable. And to hear how their parents thank me for sharing the understanding of music with their little ones, because they go home beating on drums and everything man, it’s unbelievable. Rusty Hassan: You recently got some recordings put together for release, how did that come about to get that material out? Brother Ah: Let’s see. (Gets up and walks away then returns.) This is just unbelievable man. Look how wonderful they have done this. This is LPs. And these are CDs. How it came about was, again you know, a phone call. I got a call from this company called Manufactured Group, who called me and asked is that open? Is that CD open? Let me get you one that’s open. You know I had released my old albums, Move Ever Onward, Beyond Yourself, Key to Nowhere, you never heard of those? Anyway those are the albums that had been released by… under my own label. Brother Ah: I have a label called Divine Records. And they made a splash, for a while and a gentleman who’s the head of the company in New York called Manufactured Records Group who liked those records, who loved those records, had called me and asked me if he could release those. So when he called me he said, “Do you have any records, anything you’ve never released before?” I said, “Well let me look in my file cabinet man.” I looked in my file cabinet and I had all these recordings, master recordings, which were never released. He said, “Well can you send us copies of those so we can hear them?” And I sent them those copies and man they loved them. “What!? 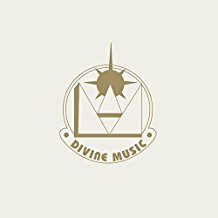 Can we release these on our label?” I said, “Yeah.” They asked me, “What should we call it?” I said, “Call it Divine Music.” That’s my logo, Divine Music, that’s the logo of my recording company. So, they just called me and asked me to send them, and they loved them, and they released them. I mean I didn’t solicit this. That’s how it came about. So I contacted my attorney, my attorney happens to be one of my students at Brown University who is now my music legal attorney, he’s handled Count Basie’s band, you know, he’s very good—he made contact with the company in Brooklyn, and they’ve been releasing my works that had never been released before. I recorded them 40 years ago when I had a band, the Sound of Awareness, and just put them in my file cabinet. But God is good man, I mean this is the time. Now it’s making this whole big splash all over the world. Now they want me to start going on tour again, you know what… I’m going to. I gotta go to my first stop in Philadelphia, New York, New Hampshire, those are the three so far they have got. They want me to put this band together so, I called that same band, we’re all gonna get together and start going on the road in the spring. But this came about by phone call, man, somebody loved my music from the past, wanted to know if I had anything that I’d never released, I said, “Yeah, but it was 40 years ago.” Boom. Rusty Hassan: For decades now you’ve been a broadcaster on WPFW with the Collectors show. How did that begin? Brother Ah: That started in New York. I was a broadcaster on WBAI in the 60’s. I had my own show, it was called Dimensions in Black Sounds. Don’t ask me again how they called me, I don’t know. First of all, they called me, they wanted me to direct a live Saturday afternoon performance. And I can’t remember the name that they gave it… it was a church on 60th Street. They said, “Organize it. It’s free.” So I would organize it every Saturday I would have all the cats come in that I knew. This is a live performance, 2-hour performance on WBAI. Then they asked me to do my own show. So I said, “Ok.” So I had my own show, it was a 1-hour show, it started in the late 60’s or early 70’s. My first guest was Sun Ra. And I did like I’m doing now, I played their music, and I interviewed them. My second guest was Beaver Harris, a drummer, and then I had Ron Carter, he brought his bass up in the studio. Richard Davis was my guest, I brought all these cats in, who brought their instruments into the studio and we talked about the music and the movement. Back then the Black Arts Movement was going on, so we talked about the struggles we were going through, the so-called “avant-garde.” So I had all these cats coming through. For 3 and a half years I was on WBAI. That’s really where I started as a broadcaster. Rusty Hassan: Before WPFW was on the air? Brother Ah: Yeah, I was still at Brown University. I would come down on the weekends for these meetings. So, I used to come down to Aklyn Lynch’s house. Aklyn Lynch used to have meetings, create sessions with Max Roach, all these musicians used to come down to Aklyn Lynch’s house. I used to come down to Aklyn Lynchs’s house and we used to talk about jazz and all that. Willard Jenkins: So you were hanging here in DC, coming here before you even moved here? Brother Ah: Yeah, oh yeah. I used to come here for meetings at Aklyn Lynch’s house and WPFW’s meetings. So finally I got this place on Florida Avenue right on the corner there, 18th and Florida Avenue, it was a little store. Rusty Hassan: A hardware store right? Brother Ah: Nap Turner came to the show and I had theater people, I had filmmakers, I had jazz musicians, I had dancers. So for about 3, 4, or 5 years I taught at the Smithsonian. Brother Ah: Oh my show, yeah. So at the end of my tenure there, I resigned because of something that really hurt me. I just told them, “I don’t want to do this anymore.” And I’ll tell you something about that, but I stopped teaching there. But before I left, everybody said, “Man you can’t stop this Brother Ah. We come from Arlington, we come from Baltimore, you can’t—“ I said, “What I’ll do I’ll put out a yellow pad, anybody who would like to continue this, write their name down and I’ll try to get another spot but I’m not going to do it here anymore.” So, 90 people ended up signing up so I went to UDC. And I said, “Can I get a space here to do a workshop?” I don’t know what I called it back then, “And I’ll call it the Collectors and I’d like to do it on Friday night.” So they said, “Yes.” So I had the cards printed up and everything that said Friday night, and I forget how I said it, “Friday Night Jazz Collectors” something. So I gave my lectures for over a year at UDC. Got very tight with what’s her name, she moved to Atlanta… Gwen Redding, I got tight with her and another brother up there. So while I was there, when I was offered to do WPFW, I took some of my—I like to call them students but they knew a lot—I asked them to join me on the air: Alex Leek who was also a jazz scholar, Maurice, who was my boyhood friend from the Bronx. I call him “ “, Maurice Ash, and Mike Peay. They were all my “students” or so called. I said, “Can you all join me on the air man? Let’s have the same discussion we’re having here on Friday night on the air?” So I invited them. So four people, called the Jazz Collectors. That’s how I started at WPFW. Rusty Hassan: So you continued to do… a lot of phone interviews or discussions, you opened it up to the community. How has that worked out for you in terms of broadcasting for WPFW? Willard Jenkins: As you’ve continued at WPFW, what are some of the primary messages you’ve tried to convey to your listeners? Brother Ah: Live music. I try to tell people that you must support live music. I say it all the time. You can get a lot from going home and listening always to tapes and records, but you must experience live music—see it and hear it coming out of the musician’s instruments right in front of you. Absorb it. That’s my main message. Live music’s very important. Rusty Hassan: Separate from the music, about, oh, early to mid-2000’s, we did an interview about a fire you had in your home. What were those circumstances and how was that to recuperate the things that were damaged or whatever because I see you have a wonderful collection of photographs and everything else. Brother Ah: Well, this house burned down. Every floor, every ceiling, every wire, every pipe, everything in this house had to be… What happened is that the fire was an electrical fire. And I was on my way to pick up my daughter, who at that time was in elementary school, 3 o’clock in the afternoon and I got a phone call from a brother who has a conservatory of music, Holland Jones on Kennedy Street, he called and said, “Man I hate to tell you this but your house is on fire man.” So I was on my way, I turned and made a U-turn and came back here and man there were… this house was ablaze. Fire on the roof, firemen bustin’ up my whole house, I did rescue my dog. I was staying across the street, right across the street looking at my house in flames. They left the roof, they went through my entire house, they took every instrument I had, and laid them on the sidewalk outside and went up and finished fighting the fire. And all my buddies, particularly Holland Jones, they came and took my instruments off the sidewalk and took them away for me, that’s how I didn’t lose one instrument. Some of them needed to be repaired — I’ll show you that drum—my first drum that I played with Sun Ra so far was damaged, he repaired, anything that was repaired… I didn’t lose one instrument. Just by mentioning to the fireman that my son was a firefighter—he was my son’s roommate, dang man they went through my whole house and they took every little instrument I had, nothing got destroyed. We were out two and a half years to get back. And across the street was [drummer] Nasar [Abadey] and his wife. The Red Cross wanted to find us a place to live, they gave us—we only had what was on us… my wife, my daughter were sitting there crying, all we had was what we were wearing. So the Red Cross gave us vouchers to go to stores to get some clothes, but they said they couldn’t find us a place to live because— or a hotel to go to because we have a dog. So where we gonna stay? Nasar’s wife, went into my neighbor’s house, got on the phone, and found a hotel that would take a dog, up in Bethesda. After it was all over, we packed up and went to this hotel and signed in. The miracle of it… we had nothing, you understand me? In the morning, we got a call from the lobby, says, “Mr. Northern?” I said, “Yeah.” He says, “You got to come out to the lobby and do something man.” I said, “What you talkin’ about man?” He said, “Will you please come down to the lobby right now? We got a problem.” I said, “Ok.” I went down to the lobby, man the community, there was so much stuff in that lobby man. I could not believe it. We had clothes, people left shoes, they left cash money—the Italian people brought Italian food, the German people brought German food, the sisters brought collard greens and black-eyed peas, I could not believe what was in the lobby. From the community! I have a list of people, every single person that left something, every single person that donated to us, I have a list and I’ll never forget it and I contacted each one of them. Brother Bey put on a whole performance for me at Howard University. People, everybody just kind of came to me and supported us. 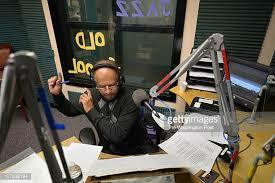 Willard Jenkins: What, for you, is the overall importance of your radio efforts? Brother Ah: Well, my brother, I’ve got to be honest with you. I don’t know how it happened but—I’d say it’s my ministry. It’s God’s will. I mean, this is not something—even though I took it very seriously, I have a degree in radio, television, and film, from Howard University. Bill Barlow was my teacher. I carry his picture in my brief case, he’s always with me. Right now if I go to WPFW—he’s right there in my bag. He was my teacher, I got a degree, so I took it seriously and I take it seriously. I don’t write scripts anymore, I mean I did script writing and all that stuff, I’d write it down spontaneously, but I went formally through it. It’s my ministry. It’s God’s will, I mean, you know, as a youngster, as a youth, I did not intend to be a broadcaster, that wasn’t in my life, I was going to be a bebop trumpet player. When WBAI called me and I got into the media, I’m wondering, “What is this… What am I doing? What am I doing here man? I mean why?” So I’ve always been in touch with my spiritual side, I’ve been meditating and praying since I was a teenager, and when things happen in life I always connect it with the spiritual journey that I’m on, which I’m still on, so it’s my ministry, it’s a part of my journey not only as a performing musician or a composer or all of that, but as a broadcaster. That’s God’s mission. I’m just doing God’s will. When I’m in my show when I’m with my music, I don’t know what I’m going to do ‘til it comes to me. I’ll show you where I sit, that’s where I sit, my shows come to me I’m sitting in that chair meditating, not on what I’m going to do, just meditating, all of a sudden ideas come, the phone calls, somebody calls me, and all of a sudden I say, “Oh man, that’s the show I’m supposed to do.” I don’t know what I’m going to do on Monday. I have no idea what show… ain’t nothing in my brain. Oh I do have a guest, who is gonna come on and talk. But in terms of the playlist, that sometimes comes to me the night before or… it’s a spiritual thing man. Sometimes Max Roach’s wife might call me, you know I’m very close to his widow, and she’ll start talking about Max and all of a sudden I think, “You know I should do a show on Max.” You know, actually I don’t know, it’s different ways. But it’s God’s will.